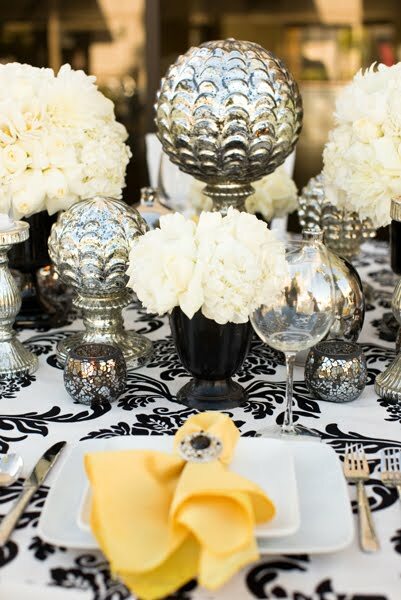 This tablescape has me totally re-thinking mercury glass. I used to have it pigeonholed for Christmas only. The possibilities!